Let’s say you wish to disable the Clone functionality for one project. Perhaps you want to replace Clone with a constrained create issue link with the same name. You can only further restrict the provided conditions. 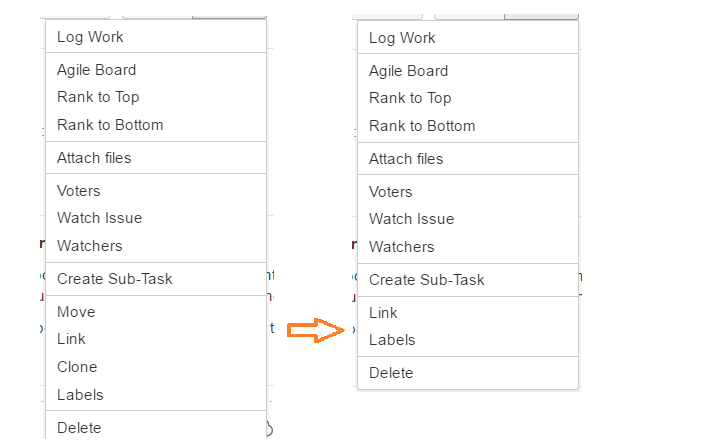 For example, the Clone issue link requires that the current user has Create Issue permissions in the current project. If the user does not have those permissions, it won’t be displayed regardless of any condition you configure.